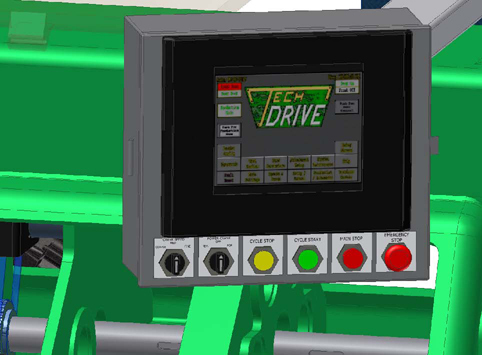 We utilize conventional controls that are standard in the American Machine Tool Industry, making it easier for the trained professional to maintain, repair, modify, or connect additional components. Touch Screen Main Control Station for "On The Fly" Adjustments. 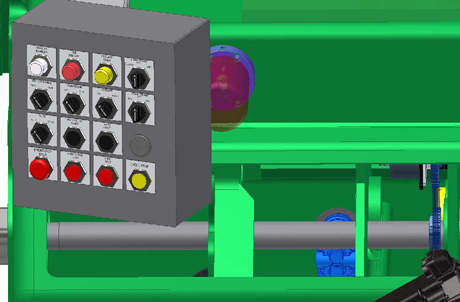 Auxiliary Push Button Station on Opposite Side of Machine. No Hand Crank! 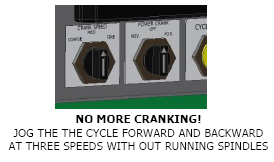 Power Crank or “Jogging” is available in 3 speeds, forward and reverse from both sides of the machine, without running the spindles! 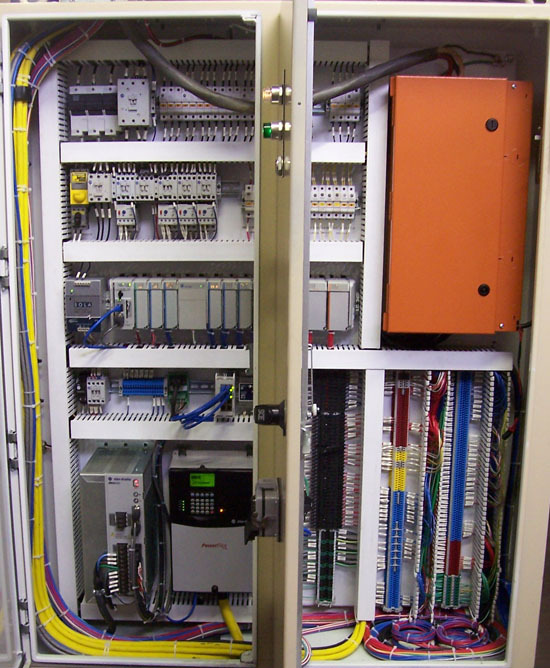 Large Control Panel with easy to understand conventional machine controls and plenty of space for additional 3rd party integrations such as an automatic bar loader. 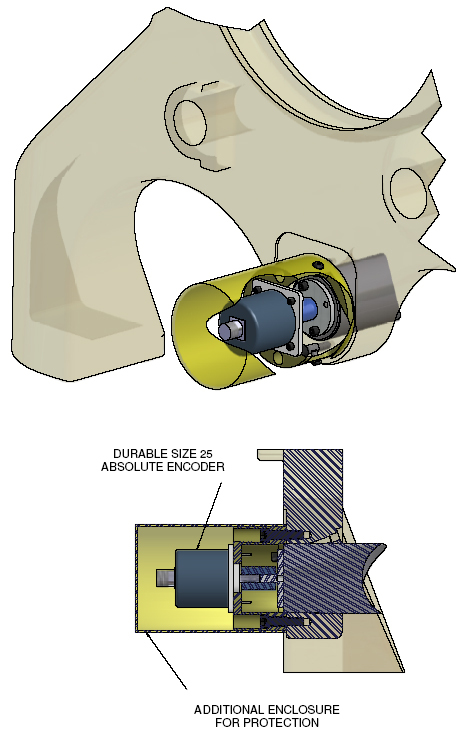 Durable Size 25 Absolute Encoder on the Drum Shaft with Additional Enclosure for Protection.